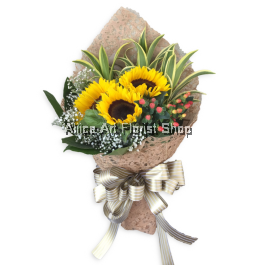 Adored throughout history, the sunflower is usually associated with warmth, positivity and power with its vibrant appearances. 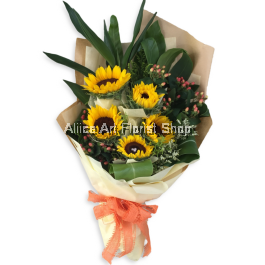 Loyalty and love is also a significant meaning attributed to fresh sunflower as well because these bright-yellow flowers are famous for their distinct characteristic of following the sun across the sky. 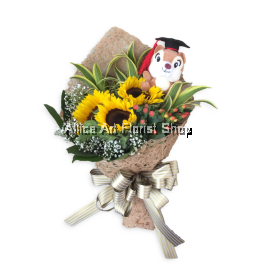 A sunflower bouquet is commonly used as a 3rd anniversary flower for its symbolism of loyalty. Even Vincent Van Gogh immortalized them with the famous sunflower series of painting. With a name literally taken from its sun-like appearance, the sunflower is definitely one of the most iconic flowers with its radiant yellow petals and large center disk. Initially cultivated as a food source and medicinal purposes, fresh sunflowers are adored for its large vibrant flowers. 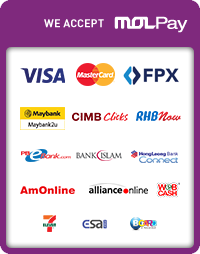 Native to South America, you can now easily find the sunflower cultivated everywhere even right here in Malaysia. 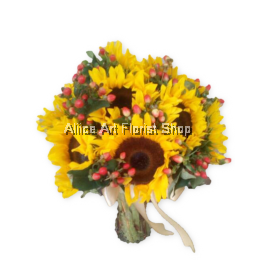 Aliice Art Florist Shop is the place to go to for fresh sunflowers here in Malaysia. 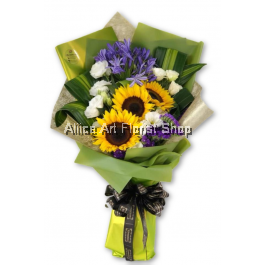 These vibrant and lively flowers are the perfect gift to cheer up anyone with their radiant shade. 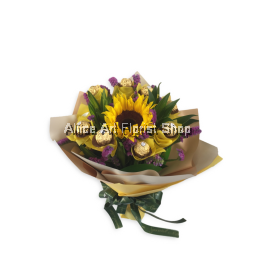 We also provide delivery for our sunflower bouquet collection. 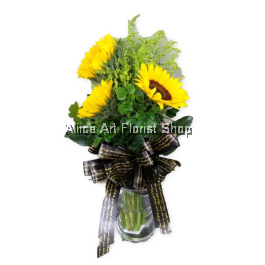 Lighten up the mood and bring positive energy to any space or anyone with these bright flowers with our sunflower delivery service.